Before you walk down the aisle, let everyone know about your wedding with our lovely Bicycle Wedding Invitation! 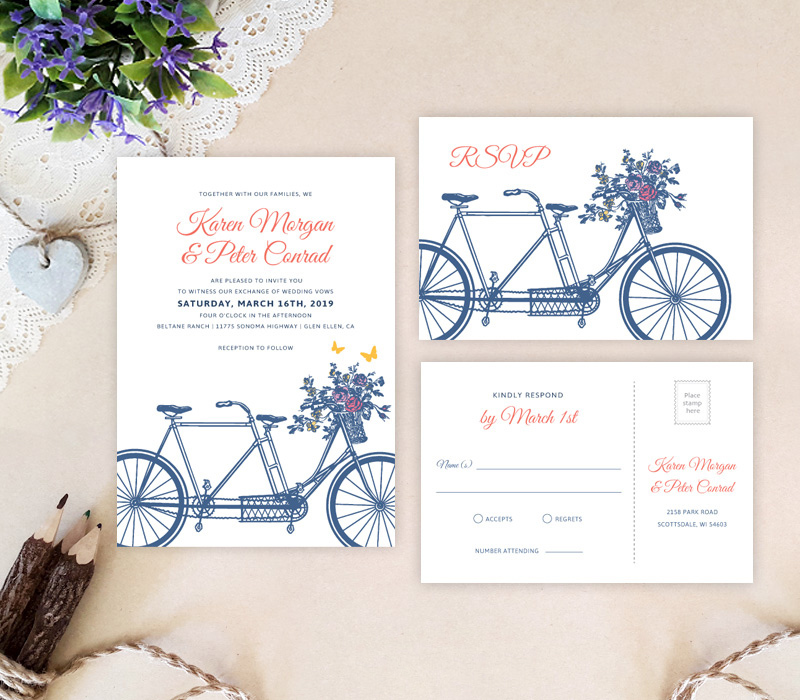 Our charming bicycle scene invites will perfectly deliver all the details of your upcoming wedding. 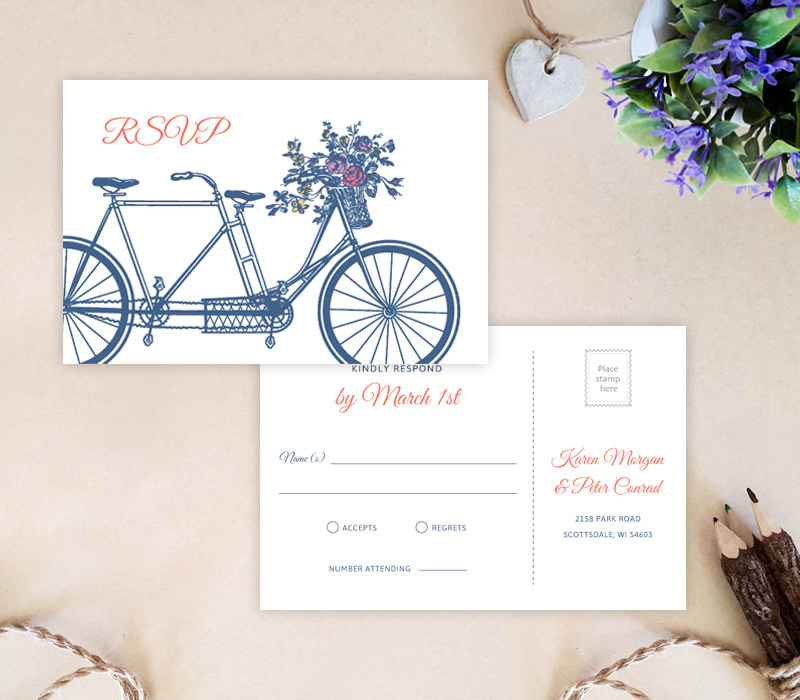 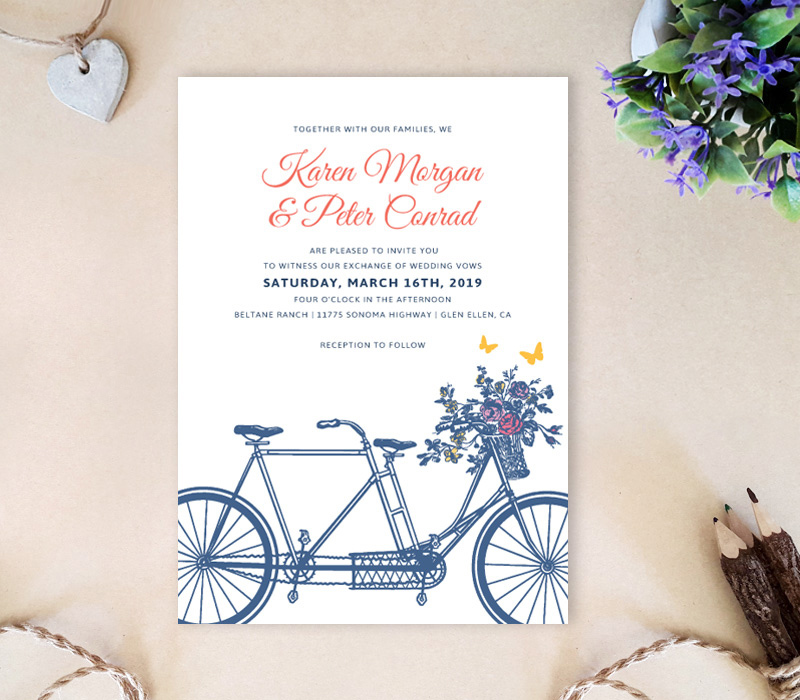 This wedding invitation set is printed on premium white cardstock and includes invites and R.S.V.P cards with bicycle artwork surrounded by sophisticated font.